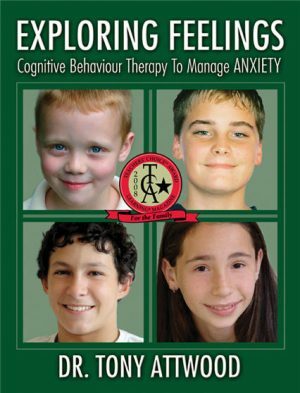 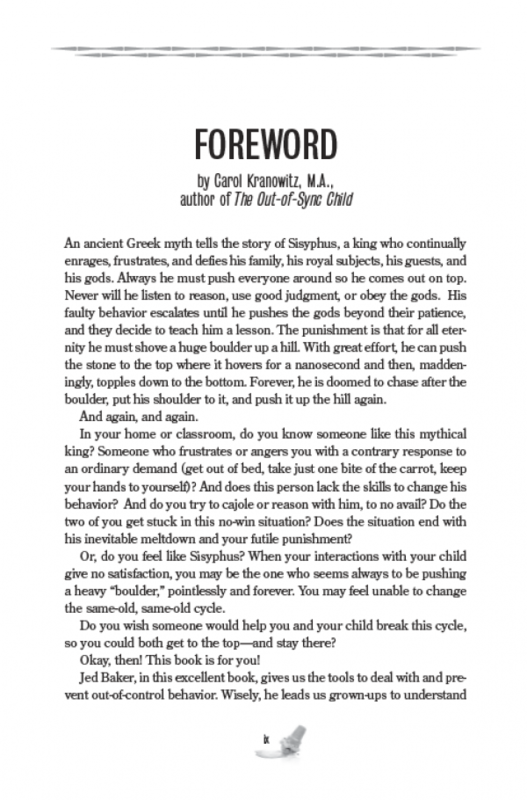 If you have a child with challenging behavior problems, this book was written for you! 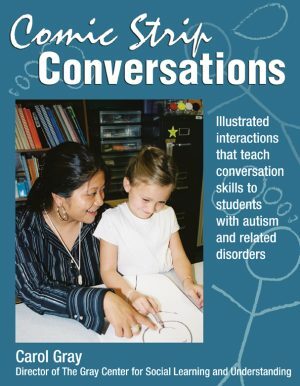 Many components of Dr. Bakers approach based on years of applied research were initially intended for children on the autism spectrum. However, over the years, he has discovered that they are equally applicable to all children with behavior problems. 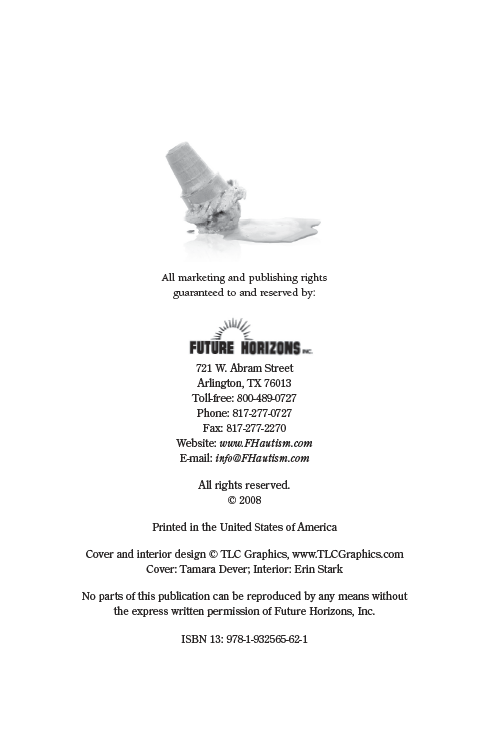 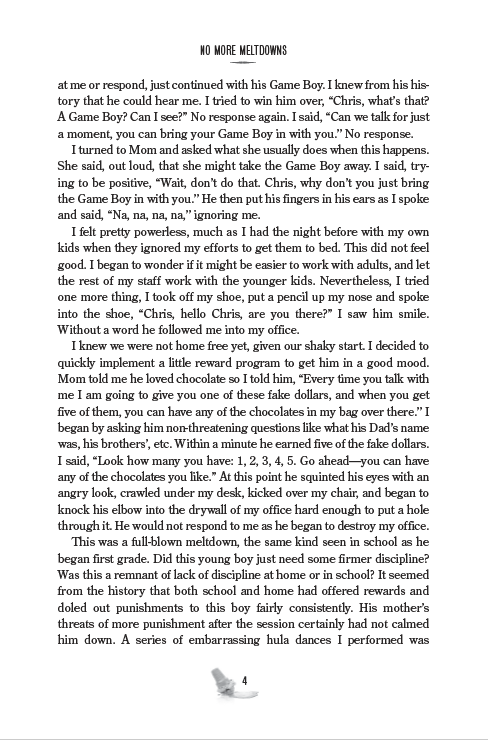 In the first two chapters you will learn what a meltdown is and why children have them. 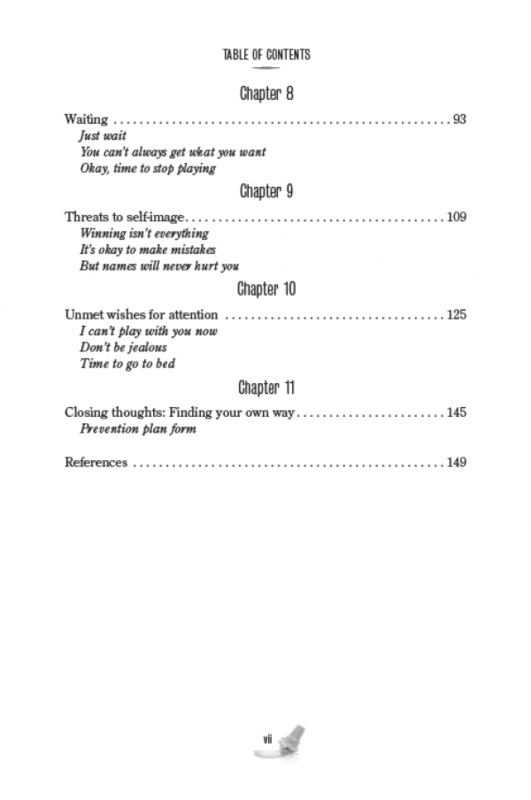 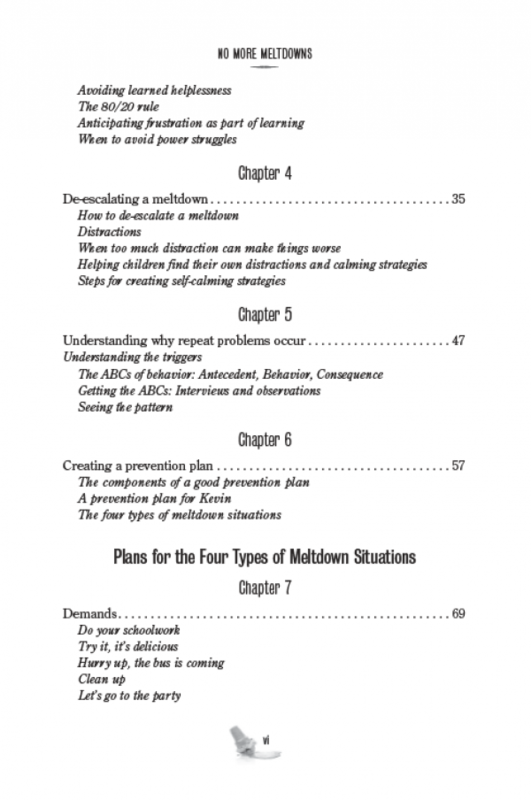 In the subsequent eight chapters, you will learn what to do about them. 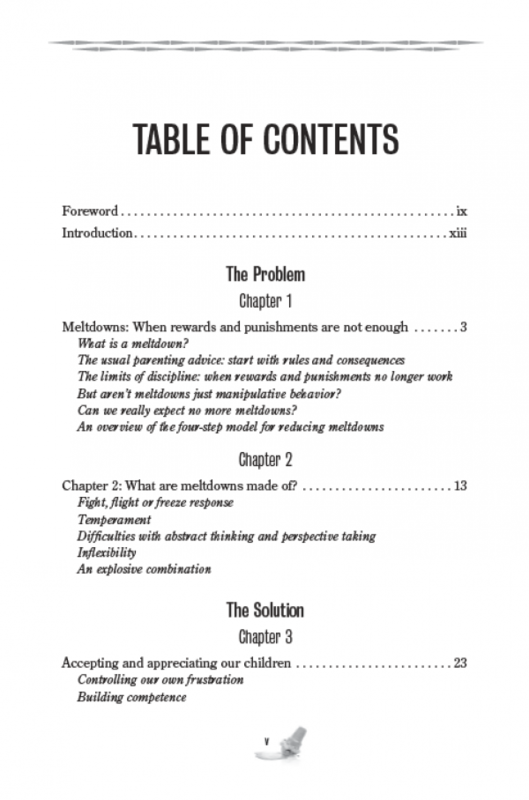 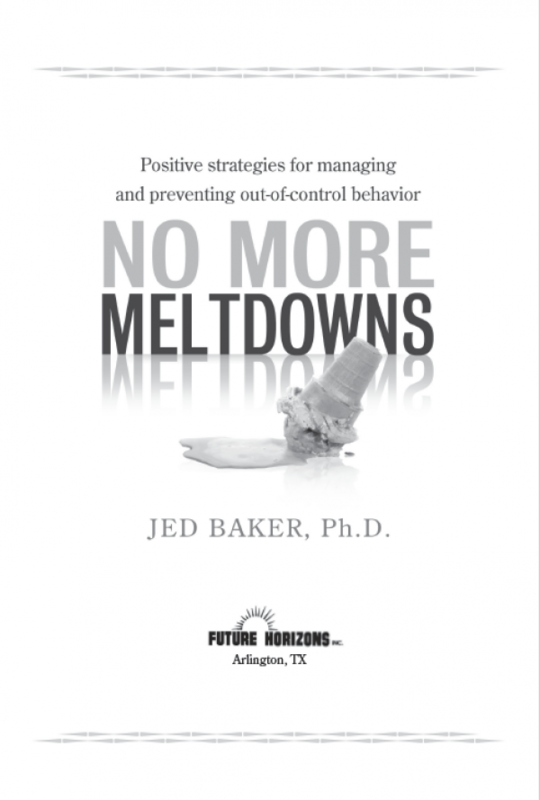 This book offers logical, flexible strategies for dealing with out-of-control behaviors. 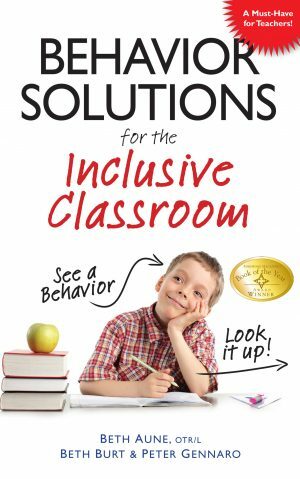 It could happen anywhere: at the grocery store, at a restaurant, at school, or at home. 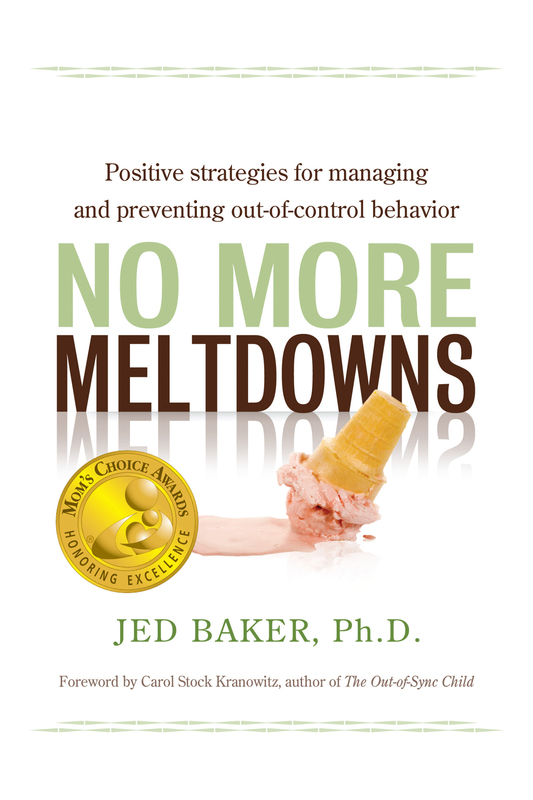 Meltdowns are stressful for both child and adult, but Dr. Baker can help! 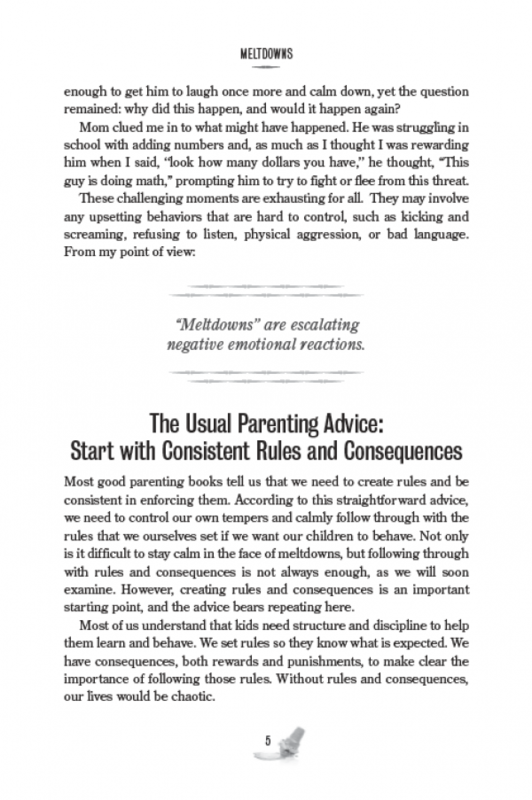 Author of the award-winning Social Skills Picture Book series, Dr. Jed Baker offers parents and teachers strategies for preventing and managing meltdowns. 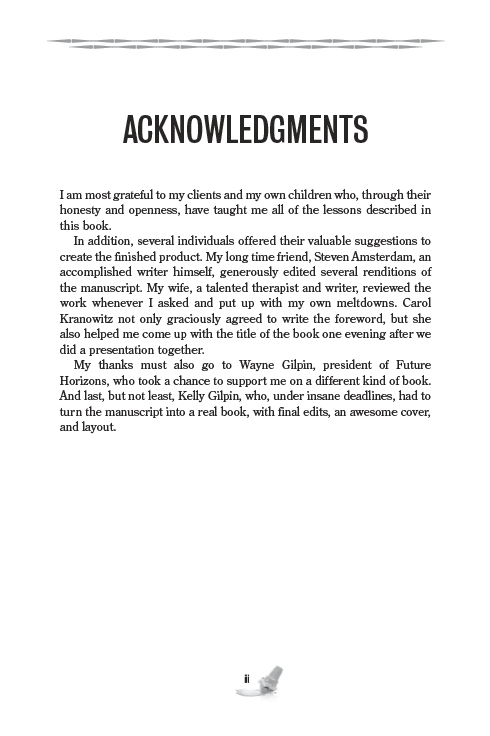 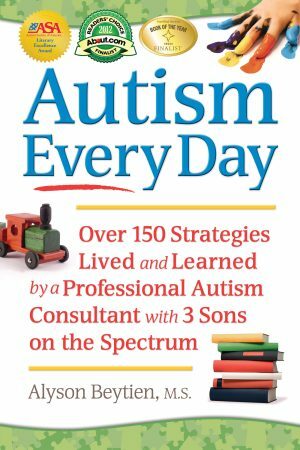 Over twenty years of experience working with children on the autism spectrum combined with his personal experiences raising his own children have yielded time-tested strategies—and results! Dr. Baker offers an easy-to-follow, four-step model that will improve your everyday relationships with the children in your life, including managing your own emotions by adjusting your expectations, learning strategies to calm a meltdown in the moment, understanding why a meltdown occurs, and creating plans to prevent future meltdowns. 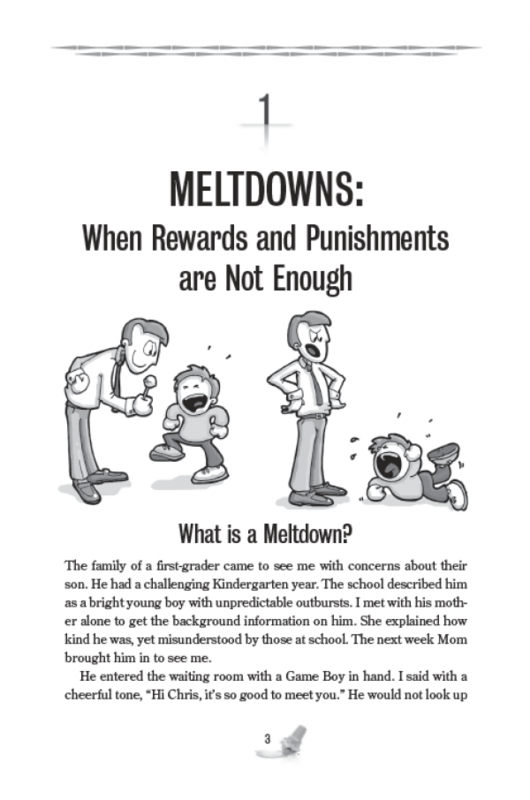 What are meltdowns made of? 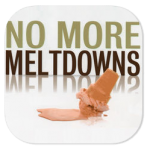 ALSO, BE SURE TO CHECK OUT THE NO MORE MELTDOWNS APP, NOW AVAILABLE ON ITUNES!